Viemos divulgar o evento INCUNA 2013 (Industria, Cultura, Naturaleza) Asociación de Arqueología Industrial Máximo Fuertes Acevedo (www.incuna.es), nesta edição intitulado XV Jornadas Internacionales de Patrimonio Industrial, a ser realizado em Gijón, Astúrias, Espanha, de 25 a 28 de Setembro. O Patri_Lab participou deste evento na edição passada, com artigo “Imigração alemã no Espírito Santo – Ocupação e paisagem no sítio histórico de Santa Leopoldina”, escrito pelos pesquisadores Bruno, Elisa e Renata. 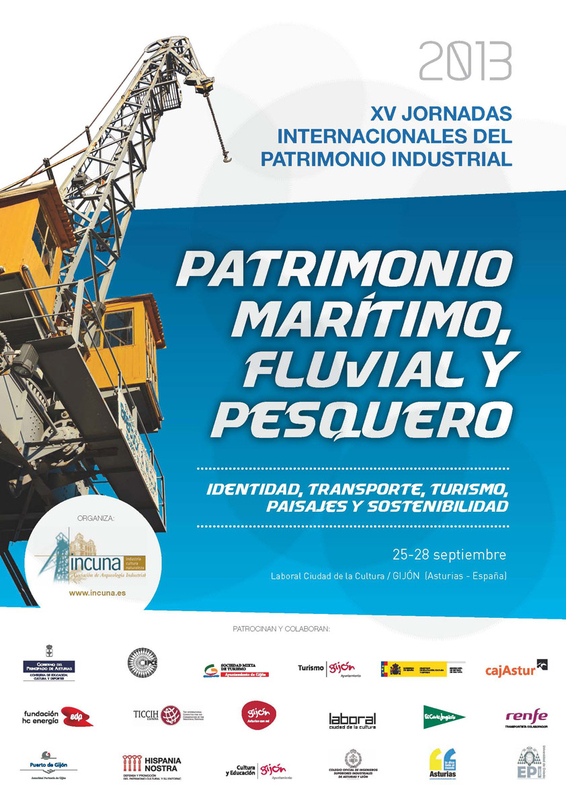 “The XV International Conference INCUNA of Industrial Heritage is entitled “Maritime, River and Fishing Heritage” from the 25th to the 29th september 2013 Gijón (Spain). Its objective is to present, reflect and discuss about a large agenda on maritime, river and fishing industrial heritage and the activities related with them, always from an interdisciplinary point of view: about identity, sustainability, technical and practices, history, architecture and town planning, transport, tourism, landscape and sustainability”.